Slate‘s Brendan I. Koerner reports on the rise and fall of Zima, that anti-beer beverage that seemed to serve just two purposes: wooing co-eds and insulting drinking buddies. 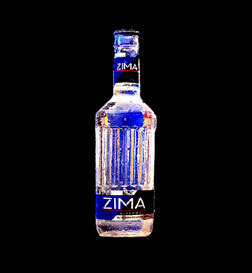 Anyone who doubts the power of peer pressure need only look at Zima’s production numbers, which went from 1.3 million barrels in 1994 to barely more than 400,000 just two years later. That was likely in inverse proportion to the number of late-night comedy jokes made about the “malternative” drink, and the wimps who swilled it. 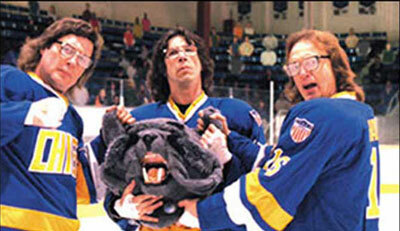 Slap Shot 3: The Junior League? While this movie can’t help but be an improvement on the brutally inept Slap Shot 2: Breaking the Ice, trying to come close to the original Slap Shot will be a very tall order. Perhaps it’s better that Paul Newman, good ol’ Reg Dunlap himself, passed away earlier this year, before this movie hit theaters. On the whole, most sports movies are mediocre, at best. For every Bull Durham, there are at least a dozen Any Given Sundays, films so dreadfully bad that one has to wonder if those involved with their production had ever actually been to an athletic event – at any level. The National Hockey League, which was begun on this day in 1917, hasn’t been the same since The Mighty Ducks, the 1992 flick that prompted Disney to begin the Mighty Ducks of Anaheim hockey team. With the Ducks’ ridiculous name and inane logo, Disney did its best to turn hockey into a joke by attempting to make it palatable to soccer moms and their oft-spoiled offspring. Consider what became of the NHL over the next decade and a half: Canada, where hockey remains king, lost two of its seven franchises as Winnipeg moved to Phoenix and Quebec relocated to Denver; the Whalers left Hartford for North Carolina; and new franchises were awarded to Tampa, South Florida, Nashville, Columbus, Atlanta, Ottawa and Minnesota. Not surprisingly, several of the new clubs have had financial difficulties since their inception and today the league is shown in the United State on Versus, previously The Outdoor Network. And, of yeah, the entire 2004-05 season was wiped out by a labor strike. Today, the league is on the rebound, but if future generations of hockey purists look back on the late ’90s and the current decade as a wasteland, one need go no further than Disney and The Mighty Ducks as root causes. The only redeeming aspect of the Ducks’ Stanley Cup win in 2007 was that by then, Disney had sold the club. 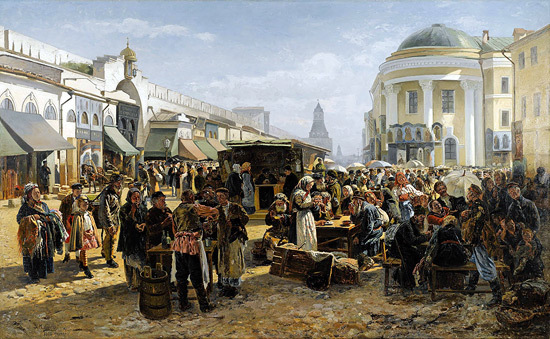 Sotheby’s auctioned off Vladimir Makovsky’s The Rag Market in Moscow earlier this week in London and the 1880 piece went for 1,329,250 pounds, including the buyer’s premium. Not bad for a painter who was overshadowed to some degree by his brother Konstantin. Brother Nicolay, sister Alexandra and son Aleksandr were also noted painters. A preview of the auction ran in The Economist and included links to a number of beautiful works, including Bodarevsky’s Ukrainian Girl Tending Geese, Lagorio’s Ships on a Calm Sea, and Aivazovsky‘s View of Constantinople in Moonlight.